Engadin St. Moritz can be easily reached by plane, train, shuttle bus or car - be it on a spectacular trip on board the Rhaetian Railway along the UNESCO World Heritage line, by car via the winding mountain passes, or by plane flying at a dizzying height over the snow-capped peaks of the Alps. You can find further information about how to get here, road conditions, local transport, opening times and webcams here. You can reach the high-lying Engadin valley via many different routes and by various means of transport. The latest conditions on the roads in the Engadin and on all access routes in Graubünden. Emergency numbers and useful numbers of local service providers at a glance. Current opening times of all mountain transport facilities between Maloja and Zernez. You can find the contact details of all Tourist Information offices between Maloja and Zernez here. Everything you need to know about Engadin St. Moritz and its mountain transport facilities as a download or an online flip catalogue. 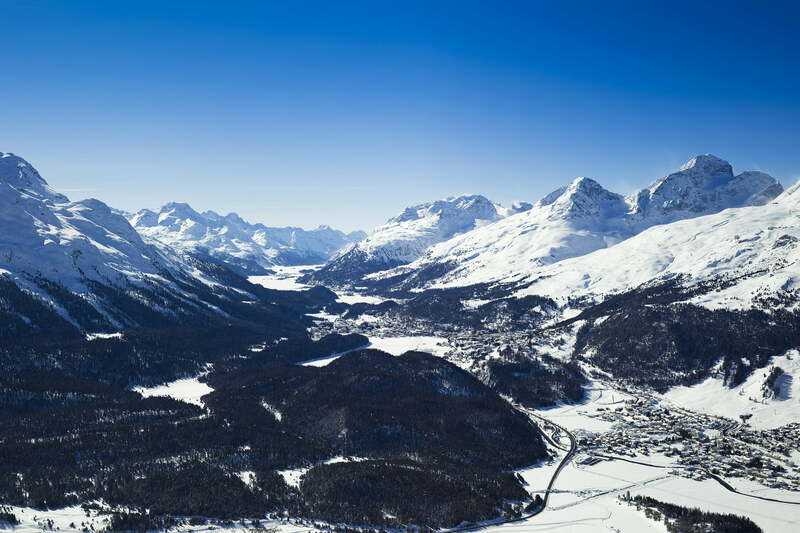 Experience Engadin St. Moritz in 3D! Easily retrieve the latest data from your home, move around in the terrain and plan the next holiday in the mountains. Discover and experience: inspiring ideas for a stay in Engadin St. Moritz. Switzerland's largest winter sports region enchants both as a landscape and as a myth.